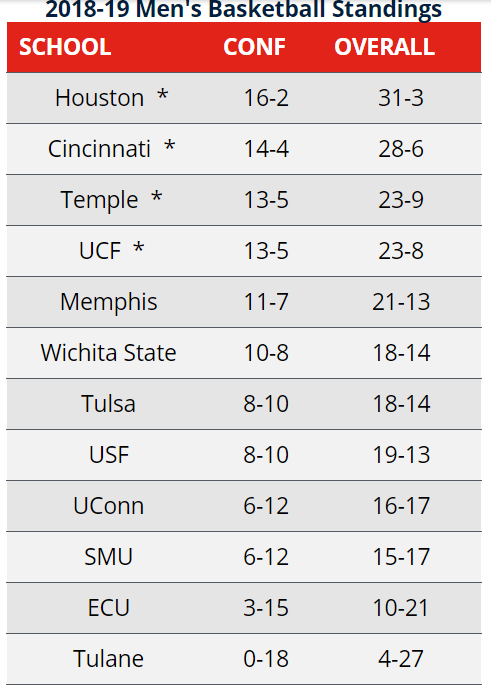 We beat the two AAC teams in the NIT, but that sputter down the stretch removed any luster. Didn’t we have a better record than both of them? That’s garbage. Oops. Didn’t take the time to look. Fair enough then. They both got hot at the end of the year. Someone said on another board that the Aresco does not want an AAC team playing in any tournament except the NCAA and NIT. It was said that a number of schools in the P5 took this stand. Don’t know if it is BS or not. Looks like The American has spoken.